Violet color. Earthy aromas and flavors of spiced dried berries, pencil shavings, and earth with a supple, tangy, dry-yet-fruity medium body and a smooth, breezy finish conveying impressions of menthol tobacco, herbs, and cocoa-dusted nuts and currants with firm, dusty tannins and moderate oak flavor. A chewy, light earthy cabernet for the table. 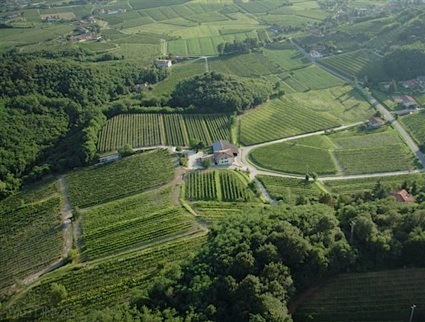 Bottom Line: A chewy, light earthy cabernet for the table. 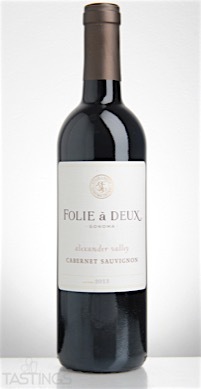 Folie à Deux 2013 Cabernet Sauvignon, Alexander Valley rating was calculated by tastings.com to be 87 points out of 100 on 11/14/2016. Please note that MSRP may have changed since the date of our review.